Suzie Pun, the Robert F. Rushmer Professor of Bioengineering, is among 14 UW faculty elected to the Washington State Academy of Sciences in 2018. This year’s members were selected for “their outstanding record of scientific achievement and willingness to work on behalf of the academy in bringing the best available science to bear on issues within the state of Washington.” UW faculty elected this year make up nearly half of the 29 new members, and will be formally inducted at the organization’s annual meeting at the Museum of Flight in Seattle. 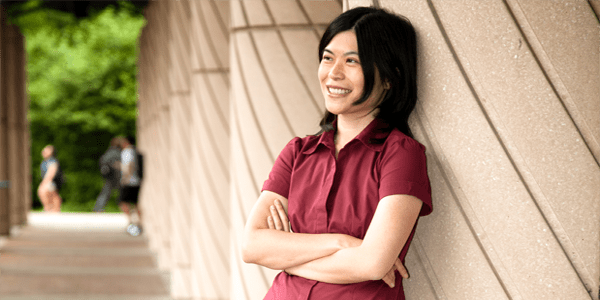 Dr. Pun’s research focuses on developing bioinspired materials for medical applications. Her lab is developing door-opening technologies in drug delivery, innovations for macromolecule delivery to the central nervous system, injectable hemostatic polymers and materials for controlled modulation of the immune system for cancer treatment. She received the College of Engineering’s Faculty Award for Research in 2017 and BioE’s Faculty Teacher/Mentor Award in 2015. She is a fellow of the National Academy of Inventors and the American Institute for Medical and Biological Engineering. In addition to recognition for her research, she was honored with UW’s 2018 Marsha L. Landolt Distinguished Mentor Award, a distinction that acknowledges excellence in graduate education. Learn more at UW Today.